When I heard recently that KISS was finally being inducted into the Rock and Roll Hall of Fame it was kind of a shoulder shrug moment. It took so long for KISS to make the cut that any excitement about the induction that I might have had in the past has totally diminished in the present. While some people argue that they don't deserve it, I think they totally deserve it for longevity alone (not to mention catchy songs that stick to you like flypaper). My discovery of KISS came in the form of bubblegum cards and pinball machines while being a kid residing in a St. Louis ghetto in 1976. It was a dramatic experience that sticks to my memory because my father made such a big deal out of me buying KISS bubblegum cards when I was seven years old with his money. My father yelled at me and kept questioning why I bought the KISS bubblegum cards. I had no real answer other than, "I don't know…they just look cool." I was seven, black and had never heard KISS' music. I just knew they looked cool spitting up blood and flames and considered them to be a white version of Parliament. To a seven year old black kid that had never heard the music, KISS were just comic book characters. 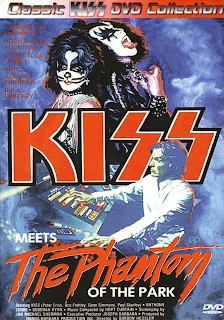 It wasn't until I saw KISS Meets the Phantom of the Park (1978) that I heard KISS' music and became a fan of the sound as well as the look. Being a KISS fan as a kid made me a pariah of the ghetto and so It quickly became one of my secrets that I shared with no one because of disapproval from friends and family in the black community. On occasion KISS was referred to as "the devil's people playing the devil's music" which only made me think, "cool". I loved Rock music from the moment I first heard it but kept this fact to myself because I already had enough problems fitting in at school and in the neighborhood…that is…until my parents moved our family to the suburbs. 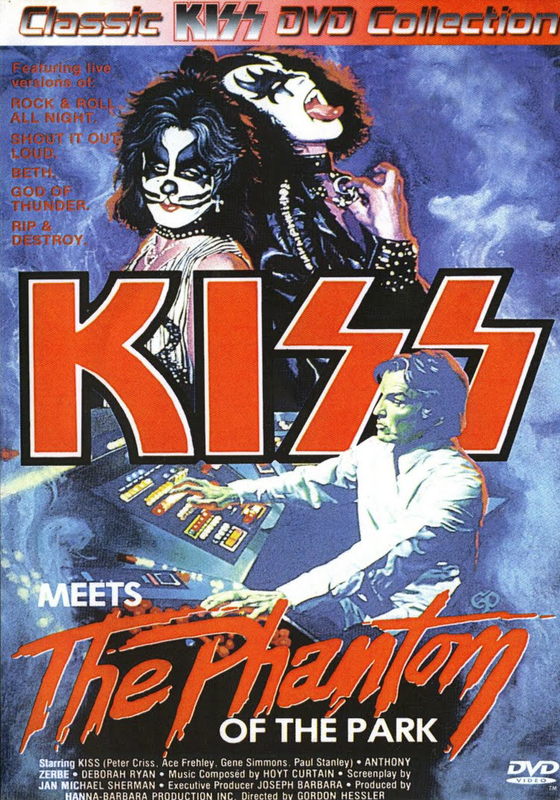 It wasn't until I befriended a white kid that lived up the street whom would come to be known endearingly as "Brother Pat" that I was turned on to every piece of vinyl KISS ever released. I was no longer a closet KISS fan. Even more exciting than being turned on to the KISS collection by Brother Pat was meeting other black kids that listened to KISS and various other Rock bands. KISS had me in a fanboy headlock until the mid 1980's, which is when they took off their make up and started dressing like valley girls. I was curious to what the band looked like without make-up, but after they took it off I immediately wanted them to put it back on. 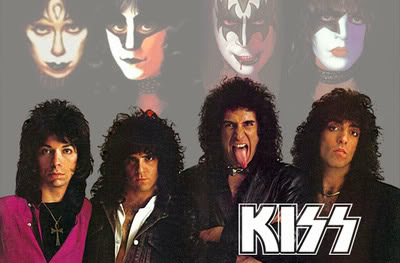 Not to call the band ugly, it's just that KISS without make-up was boring. 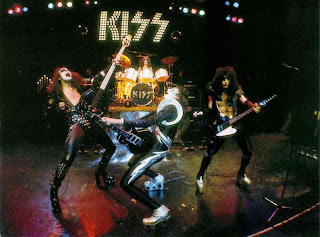 Luckily, KISS got enough heat from fans to realize that they created an entertainment image beast that could not be slain and went back to the theatrics. As an adult, I'm more of a fan of KISS the business entity than a fan of KISS the band. The fact that the group took the project from 1970's Rock-n-Roll mimes to a merchandise juggernaut is impressive on all kinds of levels. Pinball machines, lunch boxes, playing cards, shot glasses, reality show…even caskets. I haven't bought a new KISS record in years, but as far as the Hall of Fame stuff they definitely have my vote.